Conversational Kissing – Love. Life. Practice. I actually don’t agree with that quote. I’ve actually done quite a lot of research into kissing. Read books, attended seminars, and also done quite a bit of (ahem) field research. Amongst my many conclusions – no, wait, catch that, these are hypotheses, since certainly more field work is needed – is the idea that the best metaphor for a good kiss is a good conversation. Seriously, I often advise people I’m coaching or workshop participants to avoid the books on kissing (except, of course, my own which is coming soon) and go out and buy a book on the art of conversation. “But wait,” you say, “These are tips for difficult, high-pressure situations. What does that have to do with kissing?” Obviously you’ve forgotten your first kiss with…well, anyone. Plus you’ve forgotten the kiss scene from the Matrix: Reloaded, and that’s just a pity. Regardless of who you’re kissing, though, let’s try and pretend it’s the first time, and you want to make a good impression. The pressure’s on, because you’re hoping (just like in conversation) that this will be so good that both of you will want to continue the conversation. Focus on the “and” stance: You have a way that you want to kiss and be kissed. They have their own preferences. It is where these two overlap that you start with common ground; however, you also have to acknowledge that even where they are different, they are both equally valid. Contribution vs. Blame: Recognizing that they are most likely kissing you the same way you’re kissing them: the best they know how. Possibly that’s good; possibly that’s “not your style”; either way, giving them credit for sharing this intimate moment is much better than pulling back and muttering “Who taught you to kiss, a labrador?” Constructive criticism, or even better, creative contribution (“Hey, do you mind if I try something?“) are useful skills in conversational kissing. Starting from 3rd: I’m going to use a little creative license here and use the “base” metaphor. Kiss someone as though you’ve already reached 3rd base. That doesn’t mean that you start groping and disrobing them; it means you have the openness, trust, enthusiasm and comfort of someone who has already made it through the awkward stage. Pretend that you already know that they accept and embrace your most authentic kiss, and be open and welcoming to theirs. By the time you’ve reached third base, you don’t have an agenda – you can just enjoy the kiss for what it is. Desire to Understand: This is the best part, in my opinion. Listen to how the person is kissing you. Try to understand what they may be telling you: shy and gentle? Ferociously devouring? Sensually spittaculous? (Ok, maybe not the most beautiful choice of words, but you know what I mean, right?). Try to understand what they’re looking for, and give it to them…along with cues to what you’re looking for (see #1). Like so many things, it comes down to communication. Hell, in my opinion it also comes down to structure: the soft brush of lips as a greeting, the statement of purpose as lips lock, the development and exploration of themes involving lips, tongue, teeth, and the final “goodbye” peck as you surface for air. 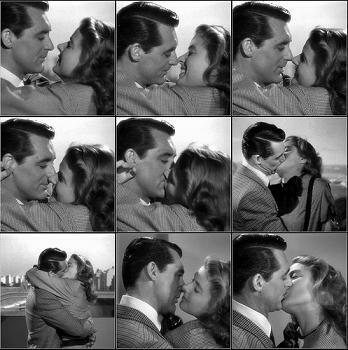 Admittedly, the kiss is often just the prelude to something else, something more…thorough. But I’m a big fan of the idea that it doesn’t have to be. I believe a kiss can be far more intimate and reveal quite a bit about someone. It’s also a way to reveal a lot about yourself. But that only works if you learn how to speak the language. It only works if you learn to listen. It would be unpatriotic of me not to mention on Black Friday that Passionate U is currently offering a special: 6 months of unlimited access to hundreds of videos (including my entire workshop on the Art of Making Out) for only $45. Want to level-up your love life? Check it out, and we promise: no waiting in line!